Months before he performs, freshman David Baker experiments with new choreography for the production “Chicago” in the Wolfe Center. Baker, a musical theater major, is part of an independent study class held in the Wolfe Center, a new collaborative arts space on Bowling Green State University’scampus. “It is exciting to be a part of the first class performing a major production at the Wolfe Center,” he said. According to Ron Shields, the chair of the theater and film department at BGSU, the Wolfe Center is the second most significant building for cultural arts in North America. 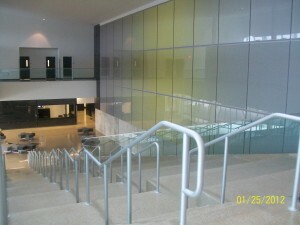 The Wolfe Center, a $42 million project, opened its doors late last year and is fit with two state-of-the-art theaters. Performances in the Wolfe Center will be coming soon. The musical, “Chicago,” projected to take place in the Thomas B. and Kathleen M. Donnell Theatre, will perform in April. Based on a true 1920s story, “Chicago” is about Roxie Hart, a woman obsessed with the idea of being a celebrity. She plays the system after killing her lover and during the process, she becomes famous. Michael Ellison, the director and co-choreographer for “Chicago,” said that the musical will be the first full-fledged theatrical production to take place in the Thomas B. and Kathleen M. Donnell Theatre. The theater is ready for the performance. The Thomas B. and Kathleen M. Donnell Theatre is the most expensive room in the Wolfe Center, said Ryan Miller, BGSU’s project manager. “The stage lifts alone costs about a half million dollars,” he said. Seating up to 400 people, the theater’s design creates the illusion of having three balconies and its contemporary style complements the traditional auditorium shape. The purpose of the Donnell Theatre was not for it to be so large that it would compete with other theaters in the area, Shields said. The goal was to create an environment where students could learn the art of performance. 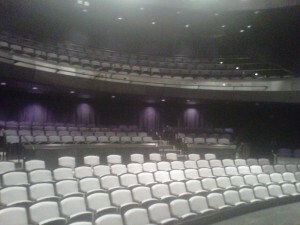 Theatre is the other theater in the Wolfe Center. The Eva Marie Saint Theatre has a black box design. The theatre can be moved into various formations, allowing the actors and the audience to interact, said Shields. Everything is painted black so that any wall can be used as a backdrop. “The key element in this space was flexibility,” Shields said. The Wolfe Center and its theatres has excited and encouraged theater majors Baker said. The building has new technology and rooms to accommodate our interest. 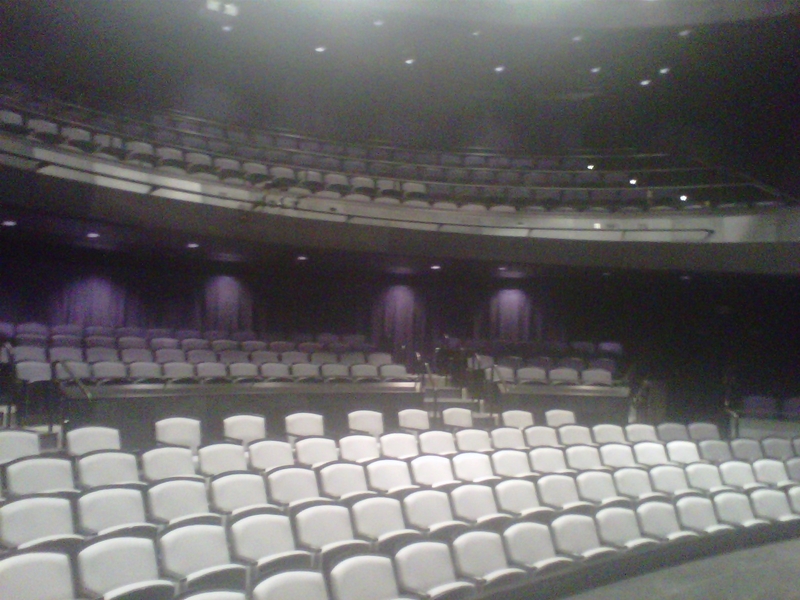 The Wolfe Center’s theaters are the first theaters at BGSU that were actually built to be theaters, Shields said. Before the Wolfe Center, spaces on campus had to be renovated and made into theaters. “The versatility and flexibility of these theaters is something we have never had before,” Ellison said. In addition to the two theaters, the Wolfe Center has: classrooms, faculty offices, a room for designing scene sets, a costume shop, studio and a choral room. This entry was posted on Wednesday, February 1st, 2012 at 9:03 pm	and is filed under Spring 2012, Wolfe Center. You can follow any responses to this entry through the RSS 2.0 feed. Both comments and pings are currently closed.